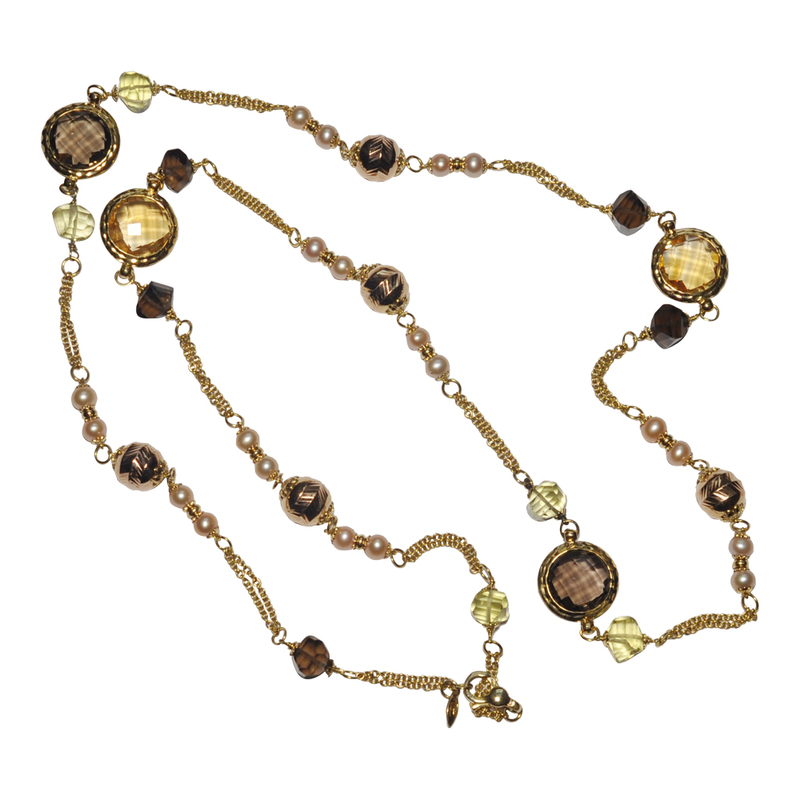 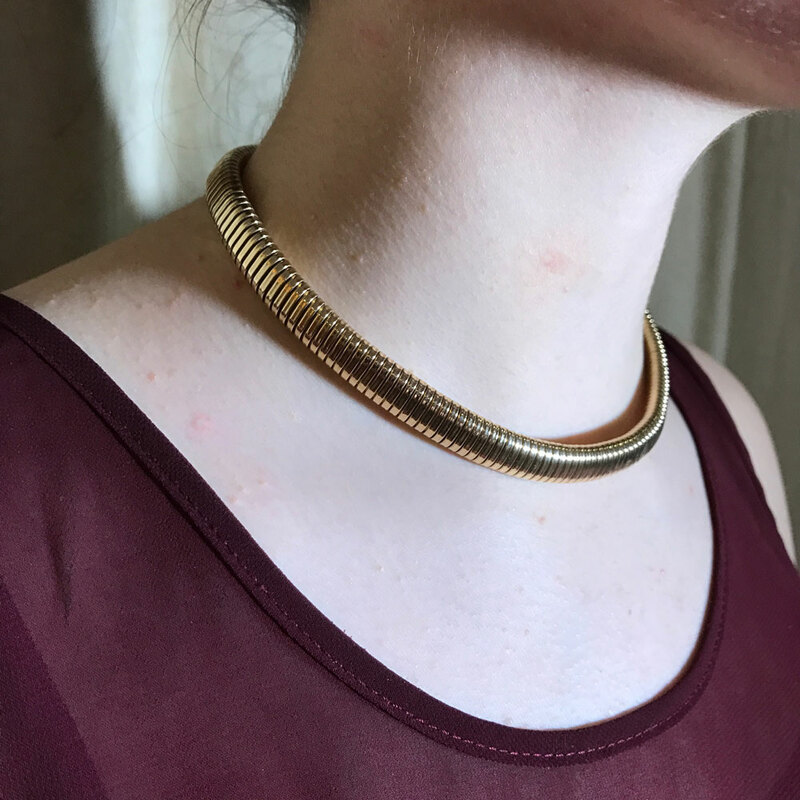 Vintage 1940s “Gas pipe” necklace; these necklaces were hugely fashionable just after WW2 and into the 1950s and were based on the old gas pipes which gave them their name. 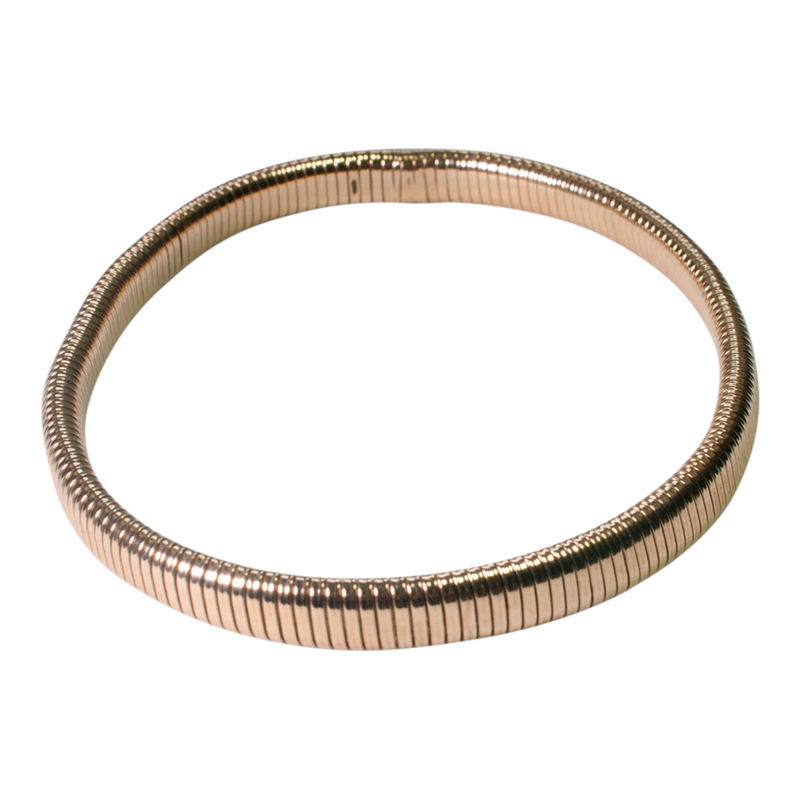 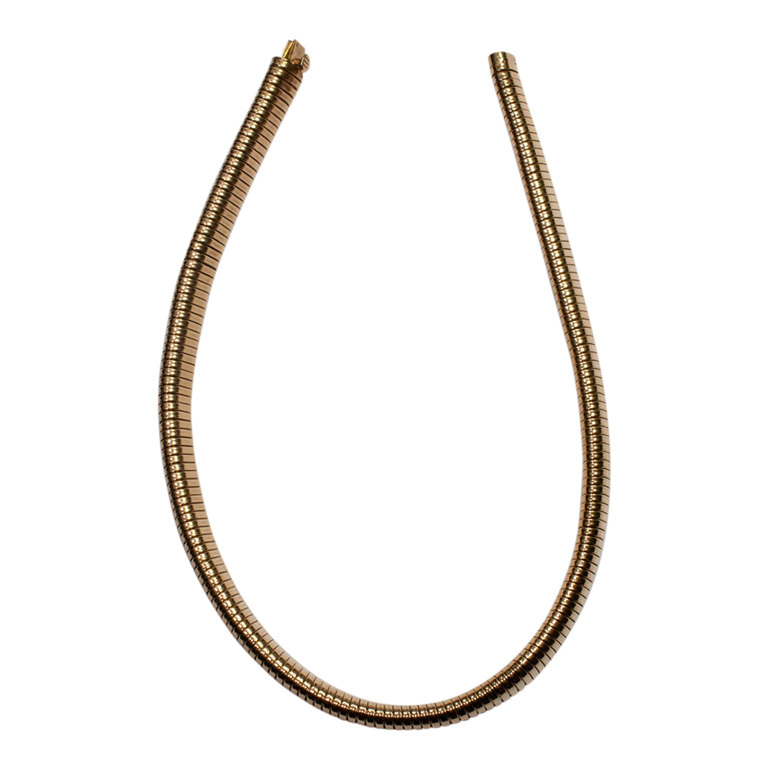 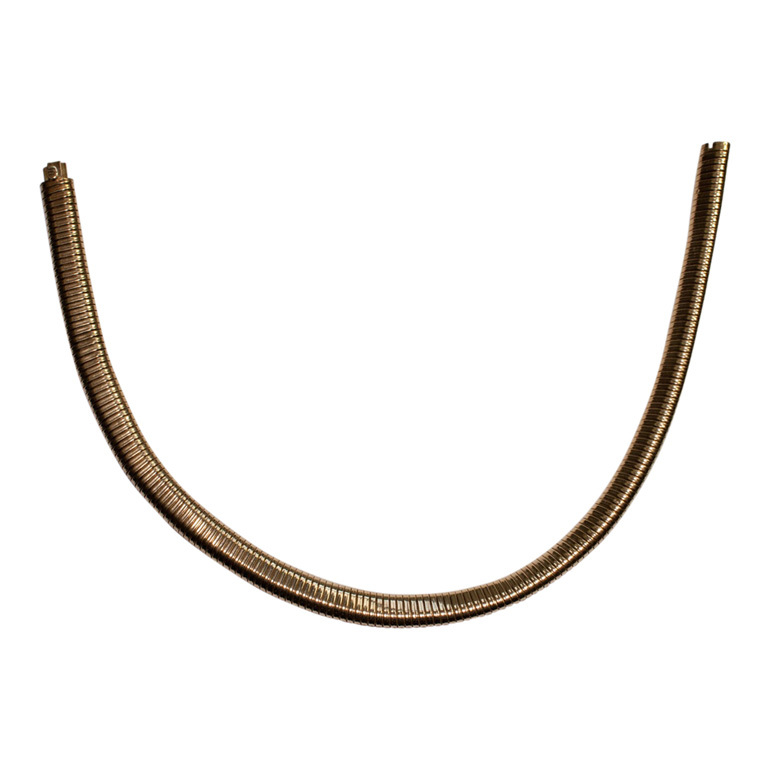 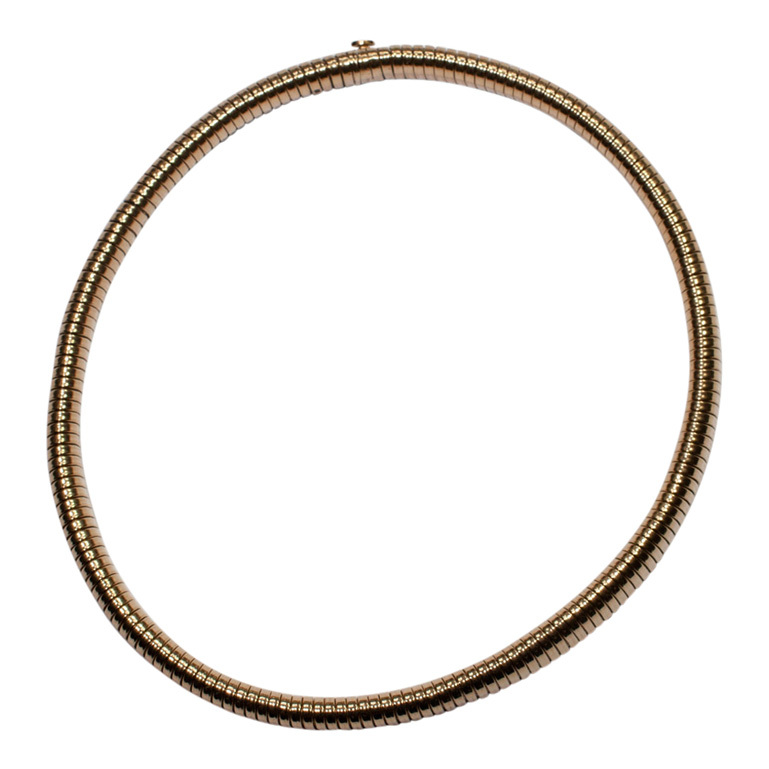 Formed as a flexible tubular chain, this necklace is in a rich rose gold colour. 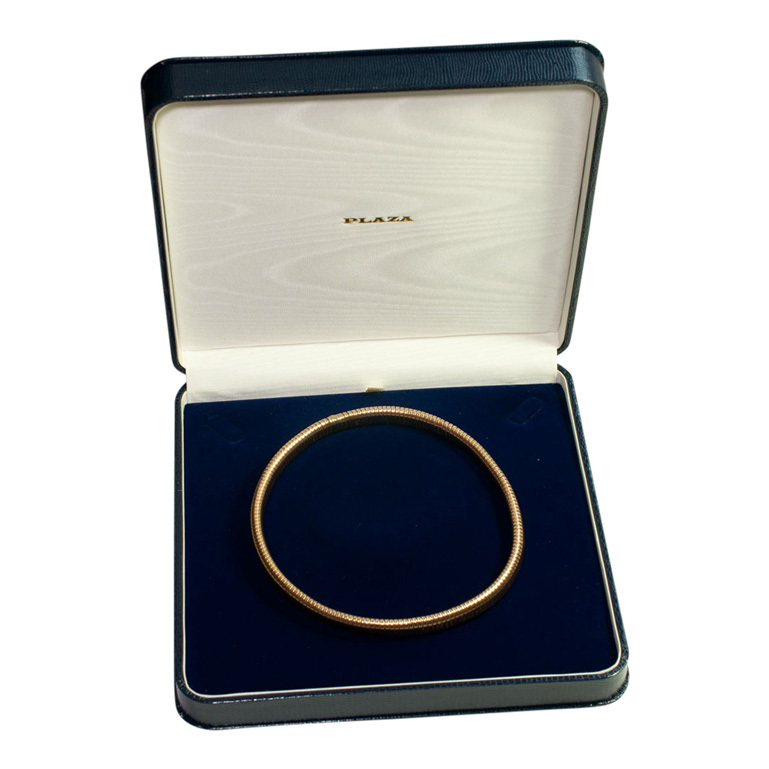 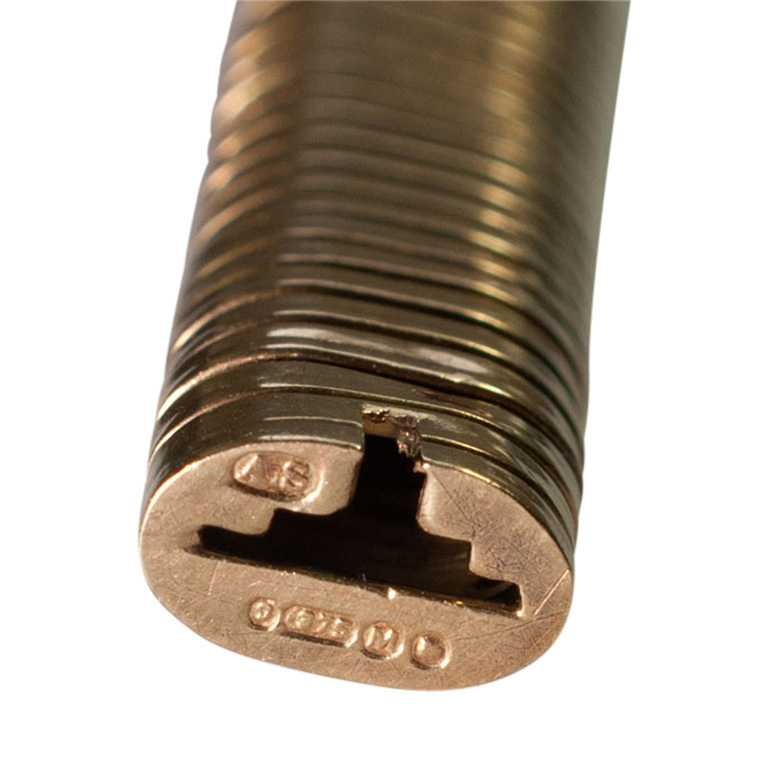 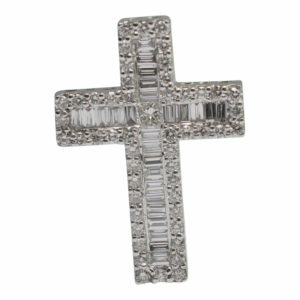 It was made in London 1947 and fully hallmarked for 9ct gold. 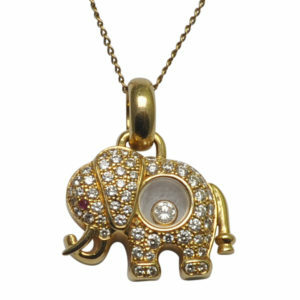 Weight 33.1gms; length 36cms; width 1cm; depth 0.55cm. 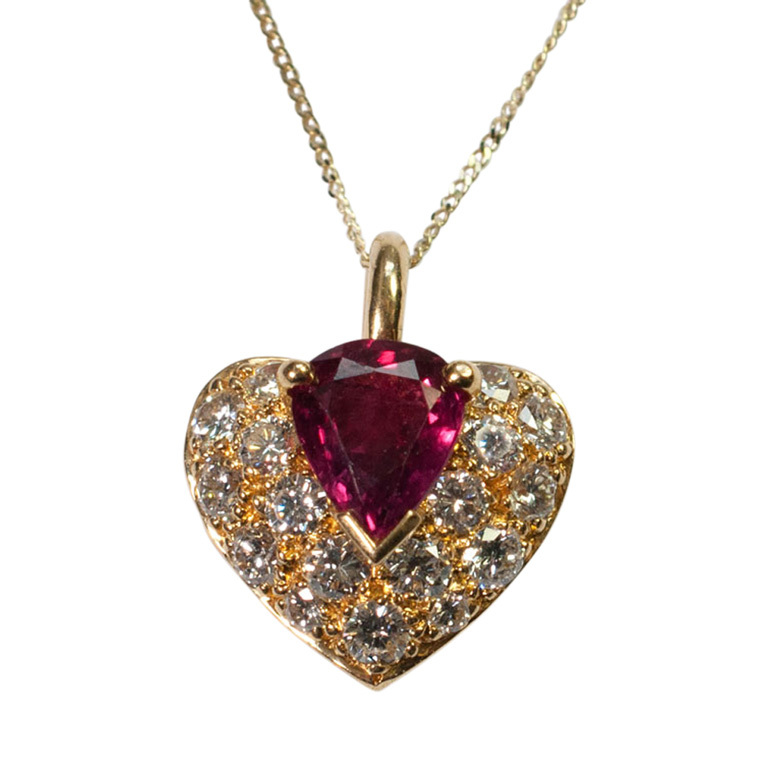 It is in good vintage condition and very comfortable to wear due to its flexibility.